however combining 2 streams of light from the bright sections will provide a triangle of light (the rays come from slightly differing directions and if filtered can provide direct and accurate measurements of both solar size and power distribution. the light in the directly facing us section is probably indicating that the light comes from the centre to that point and measuring that point will tell you diffusion data of star light through the star and approximately how big the centre energy point is. This image is a composite of 25 separate images spanning the period of February 11, 2013 to February 11, 2014. 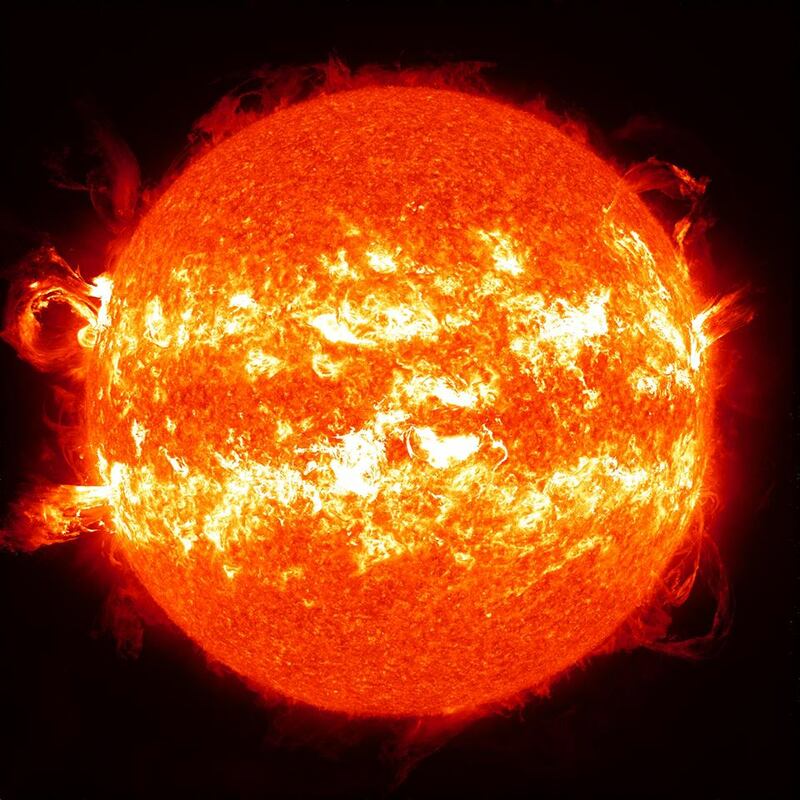 It uses the AIA wavelength of 304 Angstroms and reveals the zones on the Sun where active regions and associated eruptions most commonly occur during Solar Maximum.